Onlookers watch with anticipation. Two seasoned warriors enter the training arena. You face a respected comrade in combat. This fight will not be easy. Encase your forearms in the strong defense of the Octavius Leather Bracers. The outer side of these arm guards features a smooth protective surface. Leather laces run through rivet holes along the inner side for easy closure. 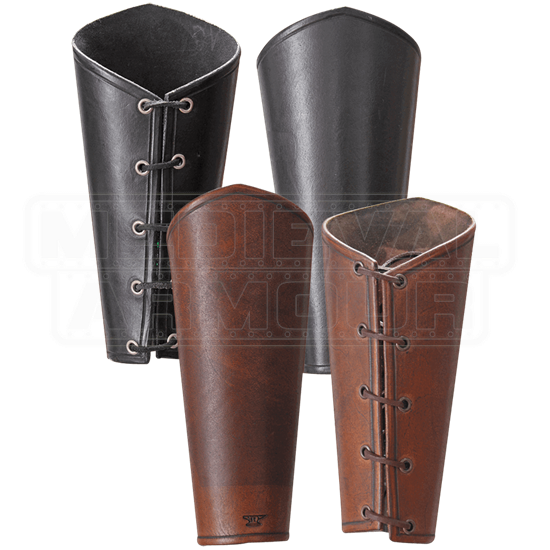 Detailed edging and embossed finish complement the traditional theme of these arm bracers. 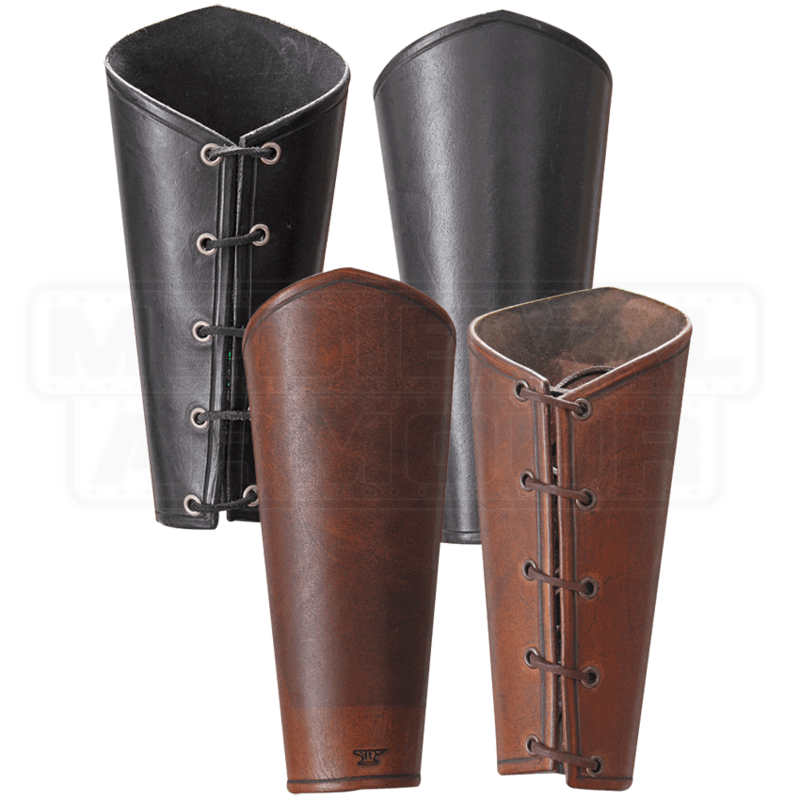 Let this classic pair contribute to the medieval look and feel of your reenactment wear. Please note that this is a natural product, so minor variations in color and texture may exist.